CSI is proud to be presenting a (2-day) seminar on Sustainable & Organic Farming at ACRES ECO-AG University Dec. 3-4, 2014. Eco-Ag University is the Advanced Learn-ing program offered through ACRES where attendees can choose a variety of “pre-conference tracks” taught by top-notch consultants, farmers, and professionals who will share their knowledge and experiences pertaining to Eco-Farming. CSI’s Dr. Phil Wheeler, co-author of the Non-Toxic Farm-ing Handbook, along with two experienced consulting partners will be presenting the four main approaches to eco-farming: sustainable, biological, organic and energetic. The theme surrounding CSI’s intensive two day seminar is “Balancing Minerals and Bio-Activating Microbes.” Beginning with a short history of agriculture and the problems that it has created, attending this seminar will arm growers with the understanding of necessary tools required to achieve harmony with miner-als and microbes in the soil. Covered topic will include: plant structure, soil structure, fertilizers (minerals), microbes, monitoring tools, compost and compost teas, energy broadcasters, and much more. Gardeners, farmers, turf managers, and ranchers will benefit by the wealth of knowledge and experience that will be covered. Bringing together the concepts of mineral balancing and bio-activating soils creates synergy in the soil enabling growers to grow more nutrient dense crops and healthy live-stock. This time you are probably right. We have had enough snow, cold, hail, rain, sleet, flooding, tornadoes, wind, drought and wild fires in the last year to convince even the most diehard skeptics that there is climate change going on. The North Dakota farmers who were previously only able to grow winter or spring grains are now growing corn and soybeans. Regardless of your view on where the CO2 is coming from, prudent people would consider taking steps to mitigate what nature throws at them in the future. In the big picture, balanced mineralization and bio-activation are the only logical steps to prepare yourself for anything that comes along. You can go one step beyond that if you want to consider some sort of energy broadcasting device. Recent research shows that the increasing CO2 in the atmosphere will start to reduce the levels of Zinc and Iron in several human food crops. Protein reduction was also observed. These factors will have major implications in terms of future health costs on a world wide basis due to less disease resistance in humans or livestock consuming the depleted food. Food insecurity and water shortages will also play an increasingly larger role in fomenting regional conflicts throughout the world. Mineralized food will continue to be sought by those able to pay for it. Let’s look at a series of mitigating procedures and materials that can be used under various weather scenarios. In all cases, you need to prepare for the scenarios by sourcing the mate-rials you might need in advance, so it is just a phone call or email away when the need is obvious. You also need to prepare your equipment to be able to do at least 3 different steps such as tillage, seeding, in-row fertilization, rotary hoeing, weed control sprays, cultivating , side dressing, foliar feeding, inter seeding, excess water draining sprays, etc. COLD & DRY SPRING: The dry part has to be somewhat predicted, otherwise you are talking about adding expensive irrigation systems at the last moment. The trick here is to increase your humus levels. If you haven’t been able to make a lot of progress along that line, then fall applications of humates or compost would be called for. Another trick is to apply 20 lb. sugar with Aqua Hold (available from CSI) that will turn the sugar into poly-saccharides, long chain sugars that hold moisture like other carbon sources. This can be applied in the fall or spring with 40-50 gal/water to get it down into the future root zone. This solution might be combined with a chisel plowing to help distribute the polysaccharides. The cold condition will reflect in lack of nitrate release that may prevent any growth or very slow growth. Calcium ni-trate is the product of choice for this situation. (Several liquid calcium products are made with calcium nitrate.) You can use it in the row or sidedress, dry or liquid, at 5-10 lbs per acre. It can also be used as foliar at 2-3 lbs/acre. Foliar feeding has been proven to be a lot more efficient at getting Nitrogen into a plant. It is very strong double growth factor, but it is NOT organic! Organic growers can try using Chilean Nitrate of Soda. This may be hard to source in small quantities, so try the greenhouse grade. There may be some NOP liquid extracts of manures that would have reasonably high nitrates. Fish emulsions or hydrolysates can help, but they generally contain more N in the ammonium or protein form. Always add at least 2 gallons of molasses or 3-4 lbs. sugar for added energy for the microbes. If the plants make it out of the ground, then “Growth Plus” would be an appropriate foliar feed. Adding NutriFoliar would get some additional N, B vitamins and growth factors. Add molasses or sugar as the plant will be struggling with sugar/energy production. COLD & WET: The lack of Nitrogen and Phosphorus re-lease as well as low brix should be addressed as above. But now we have the problem of waterlogged soils that squeeze out the Oxygen. A spray of 1-2 pint wetting agent/surfactant/dish soap to help the water go down mixed with 2-3 quarts of 35 % or higher hydrogen per-oxide in 20 gallons of water per acre may do the job. Don’t mix other materials in this mixture as you want as much Oxygen as possible available to plant roots, and not used up oxidizing other materials. If you had your equipment rigged as suggested, you could spray the soil from a front or rear boom while rotary hoeing out weeds and breaking the surface compaction. Although it might seem counterproductive, running a heavy dose of wetting agent through a pivot irrigation system over a flood-ed field might just drop the water fast enough to get back on schedule. All prior activities designed to change structure (mineral balancing), create worm holes (biological activation) and decaying root chan-nels (multi-species cover crop-ping) will pay off under these conditions. If economic plants are out of the ground, begin foliar feeding early with Organo Fish, Sea Crop 16, molasses, compost tea, Growth Plus, etc. HOT & DRY: One of the best mitigating materials for hot soils is Ammonium Sulfate. (Regretfully, it is not NOP). When applied at 200 lbs/acre in the fall, (even on alfalfa or clover) the ammonia acts as a refrigerant, keeping the next summer’s soil temperatures moderated. In addition, the sulfate Sulfur in the product is a natural heat stress reliever for plants and livestock. Organic growers can get Sulfur from gypsum (Calcium Sulfate), KS+, Sulfate of Potash, and elemental Sulfur. About 90% of soil tests coming through our lab are short of Sulfur. Your best sources of ammonia for cooling is Organo Fish and the N fixed by legumes or Bioplin (Azotobacter that fix N from the air). HOT & WET: Here you can revert back to the wetting agent and peroxide method and combine it with the Sulfur and ammonia sources. ALL CONDITIONS: Use the fall as the time to prepare for all contingencies. Get your soil testing done early and take steps to “balance” your minerals. Use Crop Recycle to digest the previous economic crop residue. Plant a multiple species cover crop and fertilize it! 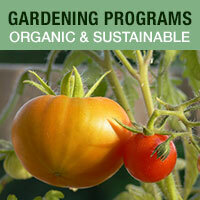 Use fish, molasses, milk, numbered fertilizers, compost, etc. Come spring, be prepared with seed treatment and row support. If you have a standing crop in spite of the weather, be prepared to sidedress and/or foliar feed it. [My first rescue attempt in the 70’s was a field of young bell peppers that had been badly damaged by hail. The growing point was still intact, so they responded to a fish and seaweed spray and went on to produce a normal crop.] The big step is to tackle that equipment. One operation per pass of the tractor is wasteful. Two operations per tractor pass is reasonable and three or more is saving you lots of money as well as helping the environment through reduced fossil fuel usage. Get out in that shed and start welding! ADVANCED METHODS: CSI offers four types of energy broadcasters that can be used to react to unusual or stress conditions as well as enhancing an already thriving crop under normal conditions. Call CSI to discuss these esoteric methods. THINK OUTSIDE THE BOX: Readers of Acres and other modern publications know that the public is spending a lot more on organic, grass fed, artisanal and other designations. They want to know what is in their food, how it was grown, who grew it, etc. If you are anywhere near a city, there will probably be a farmers market. Greens of any type (kale, Swiss chard, mustard, beet, turnip) are big sellers. A few acres of greens or other later season vegetable crops may return a big cash flow if your usual field crops have failed for the season. Let’s say you had a total bust on your corn and soybeans. A field full of redroot pigweed, lambsquarters and other odd weeds could be grazed or harvested for silage before it goes to seed. Get a feed test done and market it. If everyone in the area is short of hay, and they have enough sense to realize that the RFV value may be higher that what they have been growing or buying, then it may be a win-win. Or plant a later season crop of Sudan grass for forage silage or buck-wheat or other valuable seed crop. If nothing else after a “bust”, at least plant a 10-15 species cover crop as early as possible in the fall and be the ”eternal optimist” that farmers tend to be. (Dr. Phil Wheeler is the Co-Author of the Non-Toxic Farm-ing Handbook. He and the CSI staff will be educating growers during the (2-day) Sustainable and Biological Farming pre-conference track at Eco-Ag University at ACRES, Dec 3-4, 2014. During this (2-day) intensive seminar, attendees will get a complete overview course in eco-farming with a particular focus on Balancing Minerals. For the past 20 years or so, Phil and Louisa Wheeler have eaten every meal at home on a small table in the kitchen, despite having a beautiful dining room with oak trim, extraordinary built-in cabinets, and a stunning chandelier hovering over an exquisite dining room table. When they had company, they were forced to eat while sitting anywhere but the dining room table. Why? Truth be known, their dining room table was not covered with a beautiful lace tablecloth, but rather with soil samples, recommendations, computers that generated invoices, and files. In addition, at the “head of the table” lay the legal pad where Phil scratched out hundreds of articles written for CSI’s Grower Grazier Newsletters, ACRES, and many other publications including the book “The Non-Toxic Farming Handbook”. This was not a dining room but rather Crop Services International Headquarters where: the phones rang at all hours of the day and night, large filing cabinets flanked the room, wall decorations included map with colorful pins indicating customers around the world, and a glowing computer screen (not the chandelier) illuminated the room during “non business hours”. In one corner, lay “Bertha”…don’t be alarmed! She was the brains, the network of the three computers CSI Office has moved dispersed like place settings around the table. The dining room was the central thoroughfare of the house. In order to get to the kitchen and bathroom you had to cut through Headquarters. Just imagine waking up in the morning with a good case of “bed head” and having to go take a shower. Phil and Louisa had to parade through headquarters to get ready for the day. For many years that included greeting one of the employees who may already be doing soil tests, talking to a client, or ordering a semi-load of minerals to be delivered…and this was prior to the first cup of coffee or a shower! Working out of one’s home is a dream for many of us with its benefits: no icy roads to drive to work on, lunch around the corner in the kitchen, no time clock to check in, and the couch is a mere five paces away. With these benefits there are also drawbacks: dinner at a small table, too many sandwiches, too many naps, over sleep too often, the car sits too long and the battery is dead! Phil, Louisa and the employees loved working in this comfortable, clean working environment with good spiritual energy. Phil en-joyed the ability to take an after-noon nap, but he and Louisa spent countless hours at CSI Headquarters helping farmers, gardeners, and ranchers grow more nutrient dense fruits, vegetables and livestock which is what they ate on that small table. This year Louisa decided the time was right to have her dining room back! Hence CSI Headquarters has moved to Portage, MI (about 60 miles south). Phil has stepped away from day-to-day operations at CSI, but still is heavily involved with writing, consulting and mentoring remain-ing agronomists, Dane and Joe. The wonders of today’s technolo-gy make it possible for the CSI team to work together remotely. CSI continues its fine traditions…and Phil and Louisa had dinner in their beautiful dining room again! Like the McRib…Potassium Sulfate is Back! For the past year it has been difficult to find reliable sources of 0-0- 50, Potassium Sulfate, for our legion of growers around the country. Demand has risen sharply world-wide for this great source of naturally occurring Potassium without the Chloride content that is found in Muriate of Potash. Chloride can be very harsh on the soil life and has been known to kill germinating seeds. 0-0-50 is NOP compliant and allowable under OMRI’s generic materials guidelines. Potassium Sulfate has always been pricier than other forms of Potassium, but its efficiency and effectiveness as a source of plant available K usually pays for itself in crop yield and nutritional quality Now, just in time for fall applications of needed mineral amendments, 0-0-50 mining and production is back in full swing and is available in truckload quantities from our Illinois depot. Totes are available, but only from the Utah location. CSI is working to make smaller quantities available for our growers who may need much less than a ton. In fact we are striving to do this with our other bulk minerals. Stay tuned. It is wise to consider if 0-0-50 applied in the fall will still be available for your spring-planted crops. If you have a heavy soil (CEC of 9.0 or higher) and the pH is over 6.5, the clay fraction of the soil is already saturated and the Potassium you add has nowhere attach itself. It will have a tendency to leach from the soil with the winter’s moisture. If, however, you have a high organic matter/humus level, then the Potassium can be held in that fraction of the soil un-leachable and will be available to your young spring crops. Due to the high demand and interruptions last year in production, the price for 0-0-50 has risen to $848 per ton FOB Morris, IL. We’ve been informed that the price will go up again as of January 2015. Consider your options and plan accordingly. Give us a call if you have questions concerning Potassium Sulfate and how to use it effectively. Leon Patterson of York, PA doesn’t have perfectly balanced soil but decided to test the concept on five acres of Blue Hopi Corn. This acreage had been strip-mined years ago, but laid fallow for a number of years. The balance of minerals in his soil, and biological make-up of this fallow acreage select-ed for a weedy prairie which required the use of a mold-board plow to break up the sod, and then disced twice to break up the clumps to pre-pare a seed bed. (Dr Phil cited one of the many reasons for seed germination is directly related to sunlight, and with all of the soil disruption many more weed seeds were ex-posed.) Within 24 hours Leon applied the recommended rate of Terra Biotics’ PhosCal 22 (64 oz) along with 2 gallons of blackstrap molasses in 20 gallons of water per acre. Hopi Blue Corn was planted 6/23/2014, and the above picture was taken 7/10/14…weeds lost big time! Even more impressive, is that initial plowing and discing (i.e. exposing weed seeds) occurred 46 days prior to the picture. The late stand of corn is the only thing growing in this field. The writer of this was fortunate enough to be on a crop tour in Washington, PA where Leon was testing this concept. The above picture was taken 46 days after planting and 75 days after discing and PhosCal & molasses application. Leon decided to cultivate the field to incorporate a side-dressing of fertilizer and to take out the few weeds that did emerge. As you can see, there is very low weed pressure. Now, even if a new crop of weeds emerge from the newly disturbed soil, they can be out-competed for available sunlight by the grow-ing canopy of corn. Obviously there is concern this corn won’t mature (105 day corn), but fortunately he was testing a way to take less trips across the field cultivating than worrying about yield with his very late start. There have been a few reports from other CSI customers most having moderate to great success when applying Terra Biotics’ PhosCal22 with molasses after any type of soil disturbance to help suppress weed pressure. A few have said they had great success with some weeds, but that other weeds showed up, usually weeds growing from existing tap roots or rhizomes. Calcium and molasses can suppress the emerging growth of these weeds but not eliminate them. The PhosCal and molasses will always favor your economic crop.